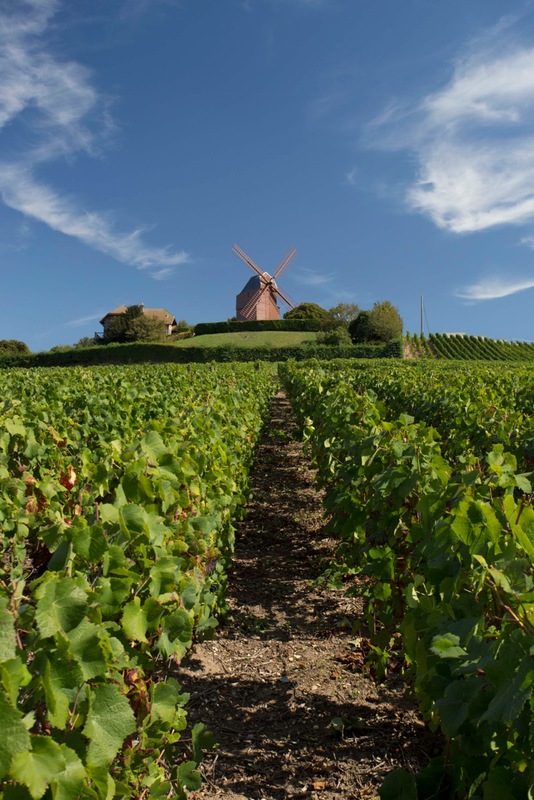 The news follows a difficult harvest in 2017, when the general quality, particularly of the black grapes Pinot Noir and Meunier, was adversely affected by the warm, wet weather in August, immediately prior to picking, causing widespread problems with rot. While Chardonnay in general and Pinot Noir from the Côte des Bars, were the two success stories of the harvest, producing good quality fruit, Pinot Noir from the Montagne de Reims was more variable especially around villages like Aÿ and Mareuil-sur-Aÿ hit by frost in April and then rot at harvest time. Meunier was worse effected by the rot issues, with the problem tending to be worse the further west in the Marne Valley towards Paris you go. Given the spring frosts in mid-April reduced the harvest potential by around 20-25% on average and the need for rigorous sorting at the harvest cut the yield further, it quite a surprise to discover the Champagne Comité estimates average yields across the whole appellation at 10,057 kg/ha which is just above the maximum limit they set on 21 July at 9,300kgs/ha. Despite this, driven by the ambition of the leading player and largest purchaser of grapes to increase its market share, grape prices and prices of vins clairs have risen by about 5%, which will put increasing pressure on some producers that don’t have the strongest brands and have to buy in the majority of the grapes they need to make their wines. While the Comite reports grape rpces on average in the region of €6 – €6.10 per kilo, for grand cru fruit considerably more is being paid. It looks like being a tricky year for some large and medium sized players, balancing paying significantly more for their raw material while under pressure not to increase prices for consumers. This may of course all be a tongue in cheek way of trying to restock his own cellar, with the champagne indignant producers PRs, send him in an effort to get him to change his view. 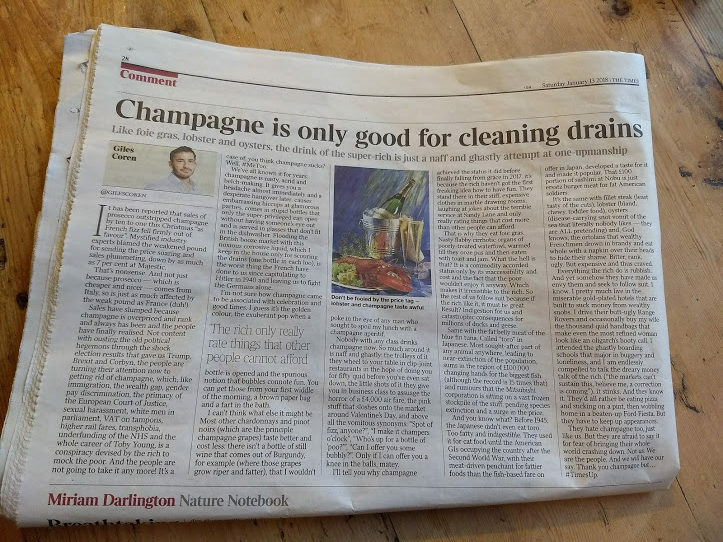 But The Times wine correspondent Jane MacQuitty has also been critical of the Champenois, or at least two of the three largest brands worldwide, in her New Year’s Eve column, where she attacked the quality of Veuve Clicquot and Nicolas Feuillatte’s champagne. So perhaps, given the paper’s pro-Brexit stance, this is just a Murdoch inspired attempt to discredit the French.